With my list of field numbers the next category of the new version of this site is now available. 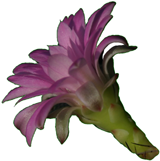 The 19th edition of the Gymnocalycium convention of the AGG is taking place in Eugendorf/Austria from March 30th to April 1st of 2007. Everyone interested in the topic is welcome to participate and listen to the numerous speeches (most, though, are held in German). Please take a look at this year's programme.